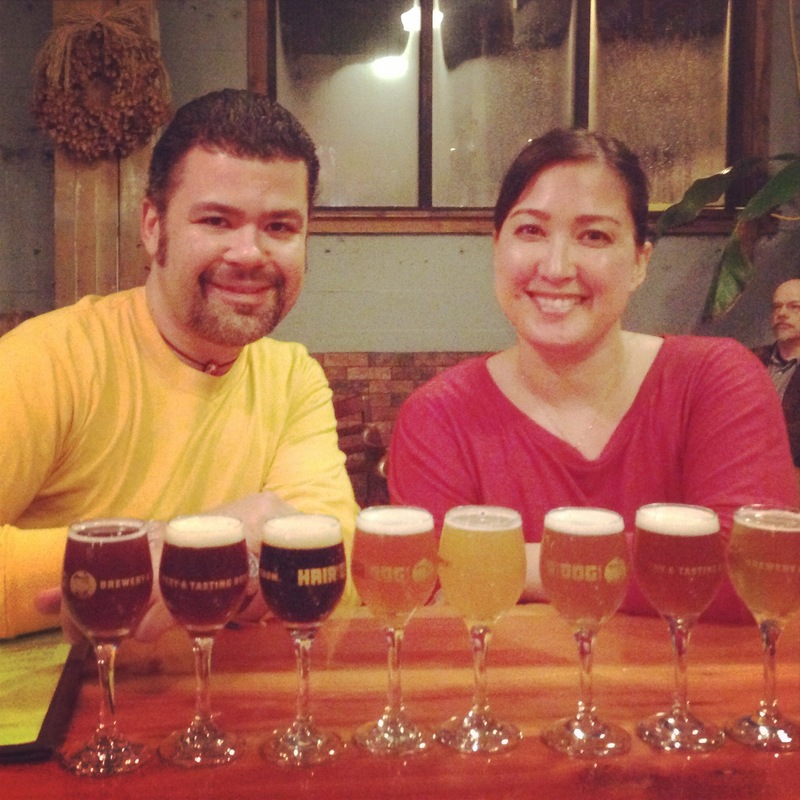 Portland is like Mecca for craft beer lovers. You can find small breweries and brewpubs specializing in many different types of brews – sour ales, barrel aged beers, super hoppy IPAs. Thanks to it’s thriving food scene, you can also find many food-friendly beer pairings to go with your food cart finds, shared plates at brewpubs or even to take into your favorite taproom. Drink up and get those walking shoes on for a tour of some of Southeast Portland’s walkable breweries. 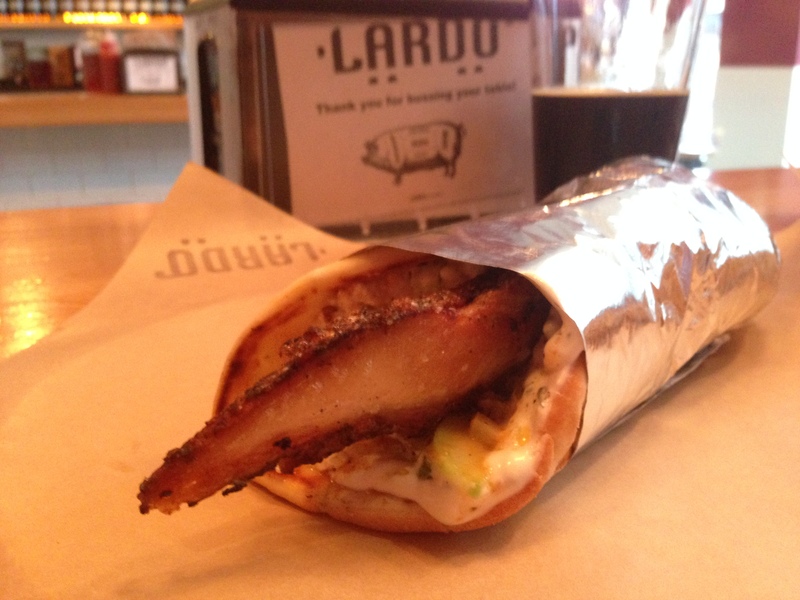 We started off with a late lunch at Lardo’s Southwest location, but for the purpose of this brewery hop, we’ll suggest you start at their Southeast outpost instead. You can get the same tasty pork-heavy sandwiches (try the Cuban or the Pork Belly Gyro) and wash them down with a good selection of frosty beers on tap – all from the Pacific Northwest. The sides are also worth a try, especially if you can split with friends – the portions are large! Don’t miss the “dirty fries” which comes loaded with pork scraps, parmesan and fried herbs. This was definitely a substantial way to fill up before heading out for the serious beer tasting route that we had planned for the afternoon! We loved the playful, dog-themed names of all the beers at Lucky Labrador but eventually left disappointed. It’s actually rare for me to post something that I don’t care for, but in this instance I know everyone has different tastes and that’s precisely the point of going brewery hopping – so that you can have variety. Lucky Labrador is on the way, so you may want to give it a chance, like we did. Edwin and I ultimately found the beers flat and the service pretty poor. At least at the time that we visited, the servers weren’t eager to give suggestions for what to try so I had to choose my own tasting flight without much help or description. We left it more than half empty, which just goes to show how eager we were to move on to something better. But to each his own! Feel free to leave a comment if you’ve had a better experience there – perhaps we visited on an off day. Otherwise, I’d skip it, especially if you’re short on time. This is a love it or hate it style of beer, I think, and it came highly recommended by one of the biggest beer aficionados that I know – my good friend Matt. Your tasting flight comes in tiny samples and there’s a limit on how many you can get at a time so that the bar doesn’t get too overwhelmed, although when we visited it was pouring rain outside and rather empty indoors. I’d never really had sour ales before so it was interesting to try them, but they weren’t my favorite. I most enjoyed one that was honeyed, although the theme for the month was fruit flavors. Most just tasted like beer-flavored cough syrup to me, but I also prefer my beer to just taste like beer, so perhaps those with tastes toward the sweeter beers might have enjoyed these barrel-aged “sours” more. I’d definitely give it a try on my next visit and the staff were great about helping us to pick our flight, so it was really a learning experience! Our last tasting stop of the day was far and away our favorite! Just as we started thinking that maybe our hopes were too high, we found ourselves at Hair of the Dog and in front of a lineup of some of the best beers we had the whole day. Here they specialize in beers that are super flavorful and unique, often paying homage to a style usually found in Belgium. Founder Alan Sprints experiments with techniques like barrel aging and bottle conditioning to really impact the flavor profiles of the beers. (It wasn’t surprising for me to read that he comes from a culinary background.) The resulting brews are quite high alcohol, so they’re made to be savored. Another plus is that local sourcing is a big priority – they claim that 99% of their ingredients come from within a 350 mile radius of the brewery. After our tasting flights, which basically covered all the beers on tap, we tried one of the vintage bottles listed on the menu – it was amazing! Olympic Provisions – The perfect end to our night was a nightcap at Olympic Provisions, where I fell in love with the steak tartare. For more about that stop, read my writeup of some of my first-time favorites in Portland. 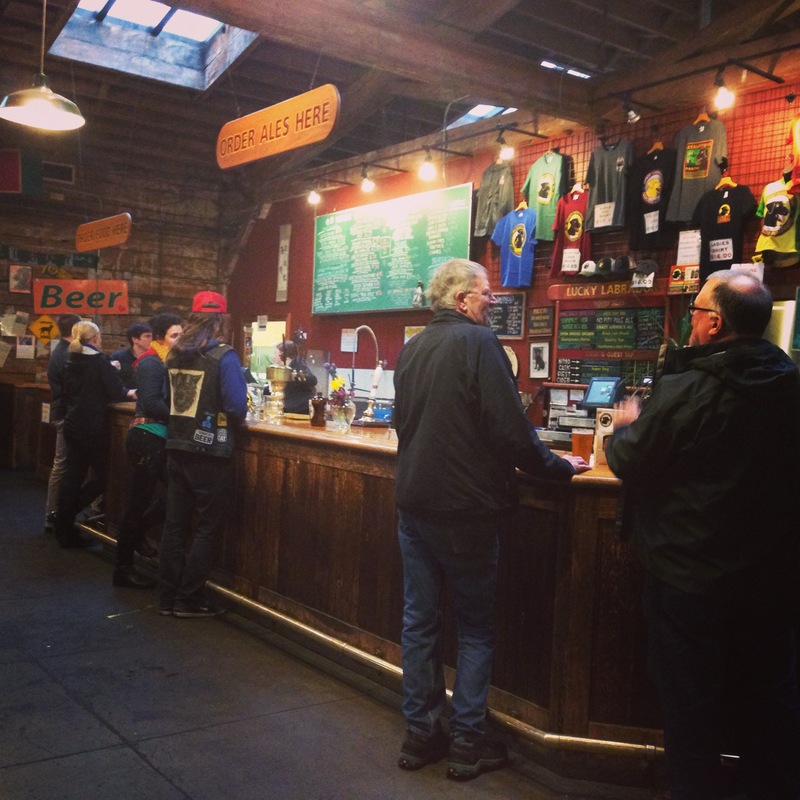 Plan your breweries – The Portland area (and the entire Pacific Northwest, for that matter) is rich in craft brew culture. 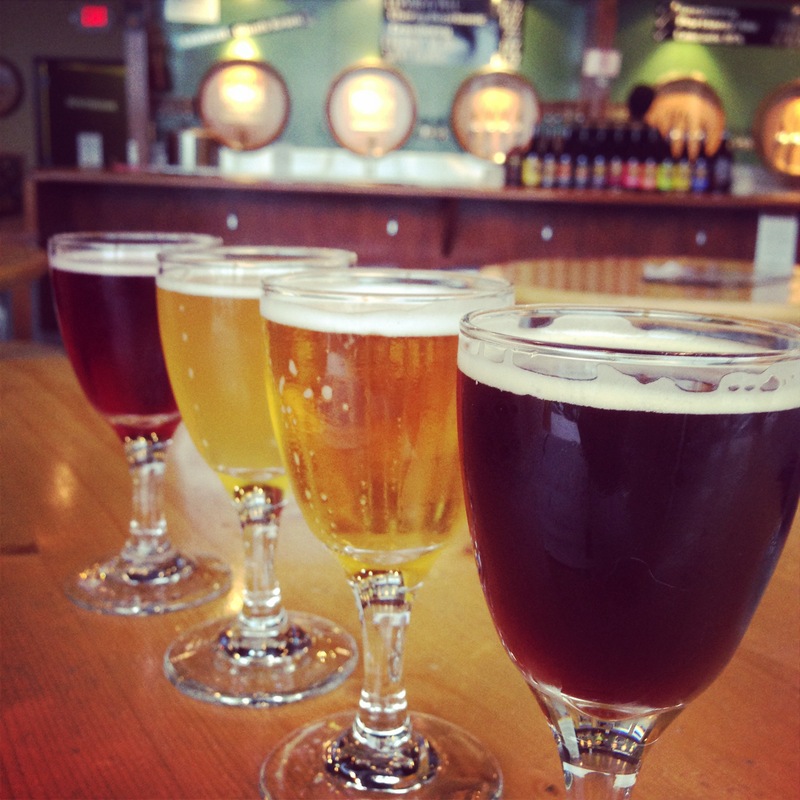 Tastings are a great way to familiarize yourself with different styles of beer and you can often try a flight or a taster before committing to a whole pint. Pick your breweries based on what you haven’t tried before, things you can’t drink in your hometown, or even just by geographical location – there’s bound to be a brewpub, taproom, or tasting room nearby. Don’t do a liquid diet – Just because you CAN go out drinking all day doesn’t necessarily mean you SHOULD. Do yourself and your hypothetical hangover a favor by visiting some of Portland’s awesome food carts, or by bookending your beer tour with lunch & dinner, as we did above. Drink responsibly – Be sure you’ve got a designated driver or the number of a cab company plugged into your phone. Luckily public transport in Portland is awesome, so you never have an excuse to drink & drive. Enjoy responsibly! I will be in Oregon later this year. Must read up on your blogs for info! Thanks girl! I loved Portland! 🙂 You can find recommendations and food news at on my Portland page. Have fun! love this post and the Liability disclaimers at the bottom. good girl! Defenitely want to try that last spot you guys went to one day. Haha, of course you would be the one to like the disclaimers, Bri! 😉 And yes, Hair of the Dog was awesome. Totally worth a stop.